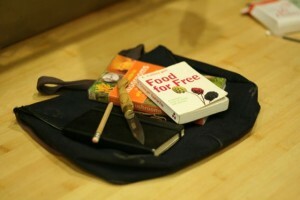 Just a quick blog to tell you about the last forage and cook course that we’re running in 2012. Next Thursday evening 6th September will be our last outing into the wilds of Stirchley to check out what wild plants are around at this time of year and what tasty treats we might be able to cook up using wild ingredients. Also for the first time we’ll be starting and finishing the course at our brand new cookery school on Stirchley High Street which is very nearly finished! You can check out the course details and reserve your place using our new online shop. There’s loads of other courses now advertised in the shop and I’ll tell you all about those in another post very soon.